The Edmonton is a stylish mixer tap that perfectly compliments any kitchen. It features a swivel spout; perfect for 1.5 kitchen bowl sinks, a modern polished chrome finish and a single lever design which allows easy adjustment of water flow and temperature. 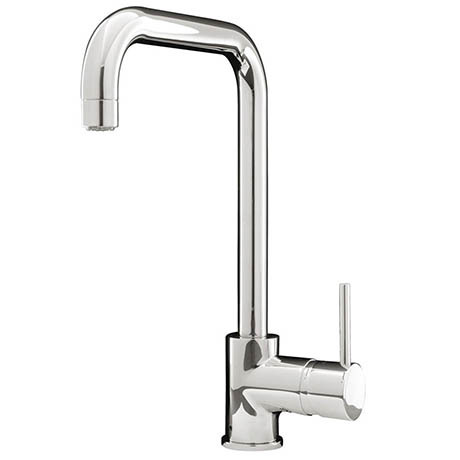 This modern kitchen tap comes complete with fittings and it needs between 0.5 – 5.0 Bar pressure to operate properly.